See more Cathy Waterman Earrings. We check over 450 stores daily and we last saw this product for $19,029 at Barneys New York. Handcrafted of satin-finished 22k yellow gold, Cathy Waterman's drop earrings each feature a pear-shaped vintage coral cabochon framed by shimmering round black and white diamonds. Showcasing a rose cut, these exquisite gemstones rest in oxidized settings detailed with fine milgrain work. Handmade. 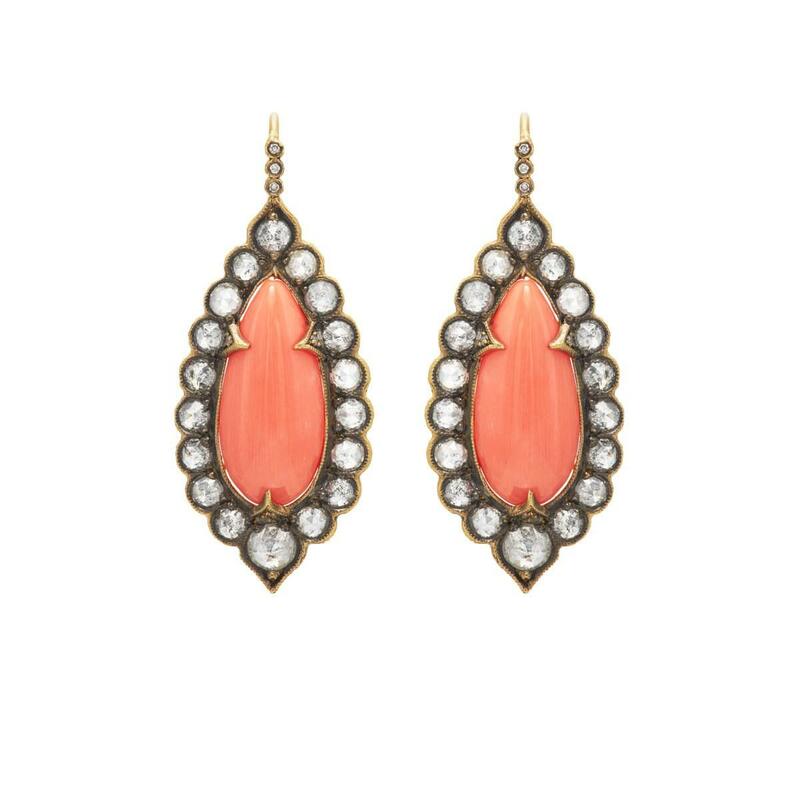 Coral cabochons rest in white-diamond-studded claw settings. 13.00 ct pear-shaped vintage coral cabochons. 4.22 ct bezel-set rose-cut black and white diamonds. Satin-finished and blackened 22k yellow gold. 4.25cm drop (approximately). Wire back. 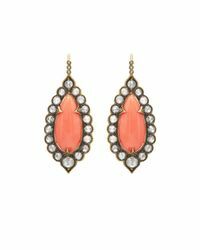 Cathy Waterman Women's Diamond & Vintage Coral Drop Earrings - Peach A great designer gift. Stay on top of Spring trends and shop Cathy Waterman at Barneys New York.